Build your own BMW X7 on today! 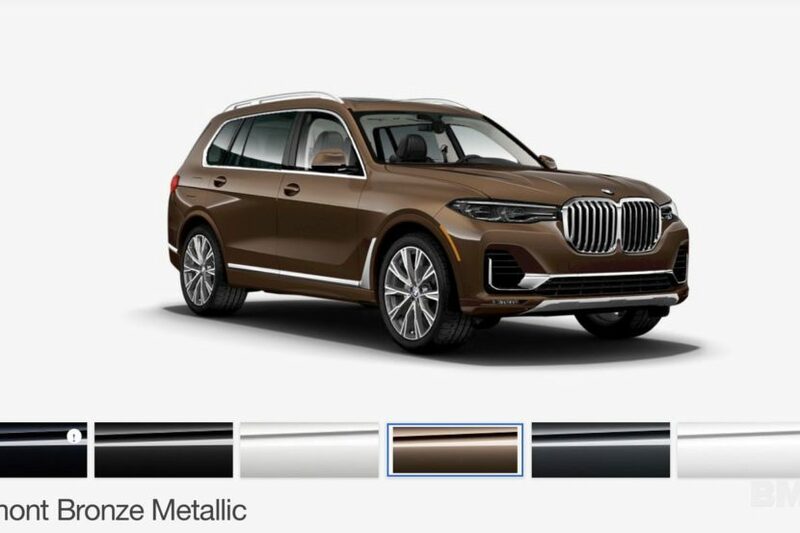 Home / Models / BMW X7 / Build your own BMW X7 on today! The new BMW X7 has been a hit for the German automaker at this week’s Los Angeles Auto Show. Despite being joined by several world premieres, including the visionary iNEXT and the 8 Series Convertible, the star of the show was the largest SUV ever built by BMW. Built primarily for the North American market, the new BMW X7 brings the company into a new segment of high-end and large SUVs, where it will take on the likes of Range Rover and Mercedes GLS. 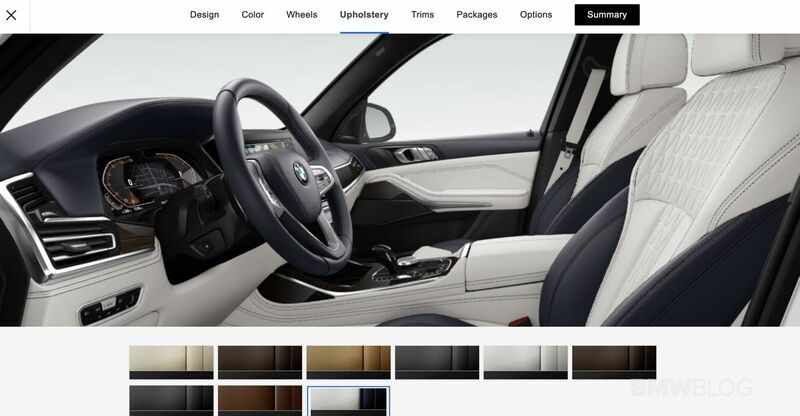 The color palette for the new X7 is quite extensive and intriguing. Of course, you have your classic Alpine White and Black Sapphire Metallic, along with the new Vermont Bronze Metallic and Carbon Black Metallic. Inside, you’re getting a variation of different upholsteries – SensaTec Black, nine premium Vernasca and Extended Merino Leathers (in the X7 xDrive40i for the US market). The two-tone Ivory White/Navy Blue Full Leather Merino interior, with a Navy Blue leather dashboard and a Navy Blue Alcantara headliner, can be specified for some models. 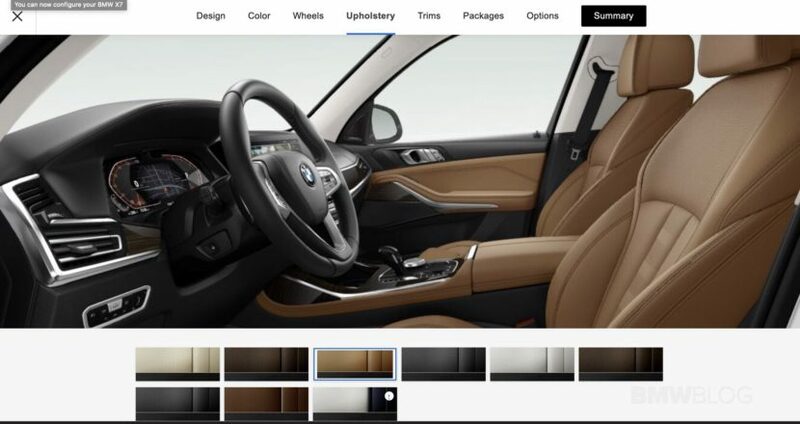 The trim menu is just as extensive with options like Fineline Stripe Brown High-gloss Wood Trim, Anthracite-Brown Poplar Matte Finish Wood Trim and BMW Individual Fine-wood Trim Ash Grain Silver Grey High-gloss. Some of the trim options are standard while others cost an extra penny. Or two. Lots of packages are also available for the new X7, from the Cold Weather Package, Dynamic Handling Package, Luxury Seating Package, Off-road Package, Premium Package and Executive Package. Next post 2018 LA Auto Show: Hyundai Palisade — Budget Three-Row Beast?